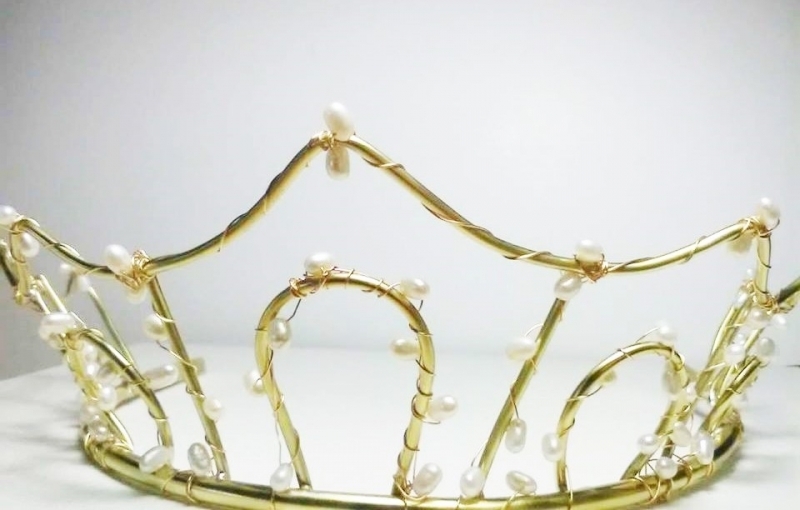 Handcrafted tiara, created especially for you according to your preferences, you can use elements of nature (flowers,leaves or wheat spice) or folklore. It takes upon 2/3 weeks to create one depending on the model. An appoitment with the designer will be needed to determine all the details. 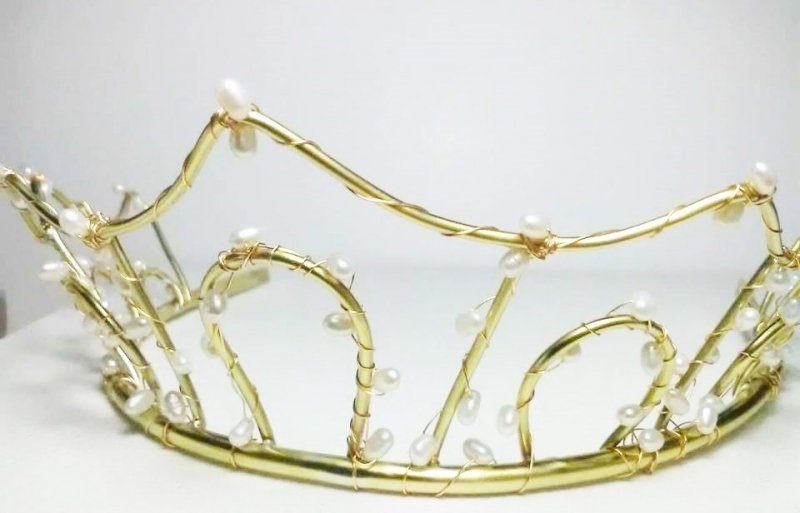 The tiaras are of made brass or copper, with pearls or gems. They are protected against oxidation. Once finished, they are delivered in a round box specially created for you. After you apply for the order, we will contact you and arrange a meeting with the designer. If you're not from Romania we can establish all the details by email or Skype.